The team encountered a string of uncharacteristic issues in pitlane at the business end of the Supercars season, starting with a double-whammy of unsafe release penalties for the Red Bull cars on the Gold Coast. After serving the penalty Shane van Gisbergen could only recover to 10th, while title rival Scott McLaughlin took over the points lead with a fifth. There was then the well-publicised wheel-spinning saga in Pukekohe, van Gisbergen lucky not to have a win stripped after a lengthy post-race investigation. 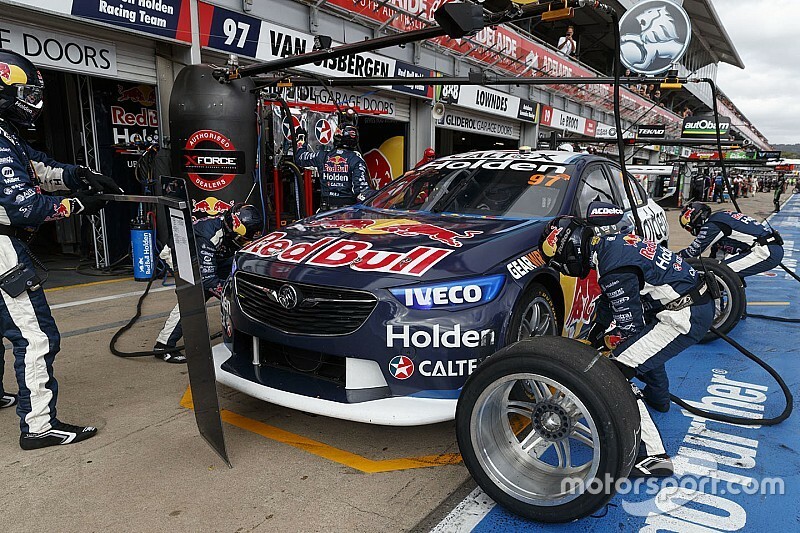 Triple Eight then made it a hat-trick of blunders by dropping van Gisbergen’s car too early during a stop on the Saturday in Newcastle, which, following another post-race investigation, led to him losing his win. It also put him on the back foot in the title showdown, McLaughlin ultimately bagging the crown. There will now be an off-season review into what happened, Dutton keen to establish whether the crew are just pushing too hard, or if there is work needed to eliminate mistakes under the same pressure. “We need to have a look and see, were we pushing ourselves and the limit too far?” he said. “Whether we support or don’t support some of the decisions that were made [by race control], that they had the opportunity to be made led from things that we had done. “When you’re in the midst of a season, it sometimes is a bit harder to actually stop and totally reflect. We need to look and say ‘okay, are we pushing ourselves a little bit hard?’. And part of that is just analysing your competition. “Vice-versa, if we’re pushing harder than everyone else, at some stage you might say we need to wind it back a tenth or two. Dutton also hosed down the theory that being a front-running squad meant more scrutiny during stops by broadcast cameras. “Yes, we’ve got cameras on us more often, but that’s complimentary, it’s because we’re up the front fighting,” he said. “It’s because we are successful and people are interesting in seeing what we do. “It’s a double-edged sword. You take the exposure that’s good for the team and, unfortunately, if you’re on TV more often and do a little mistake, it will get seen.